Komyo ReikiDo (pron. Koh-m-yoh Ray-key Do) was developed & founded in Kyoto Japan by Japanese Buddhist Monk & renown international teacher, Hyakuten Inamoto. Komyo ReikiDo is a keep-it-simple Reiki system & practice, based on the Japanese aesthetic of Less is More. The practice motto is: Place your hands, Surrender & Smile. Simple to learn & profound in the effect on mind, body & inner being. Reiki is a Japanese word which means a mysterious, ethereal & sacred energy of heaven & earth, that is, of the universe that sustains all life. Reiki Ryoho (pron. Ray-key Ree-oh-hoh), means Reiki therapy or Reiki Healing Art. Reiki was realised on Mt Kurama by Mikao Usui in 1922. 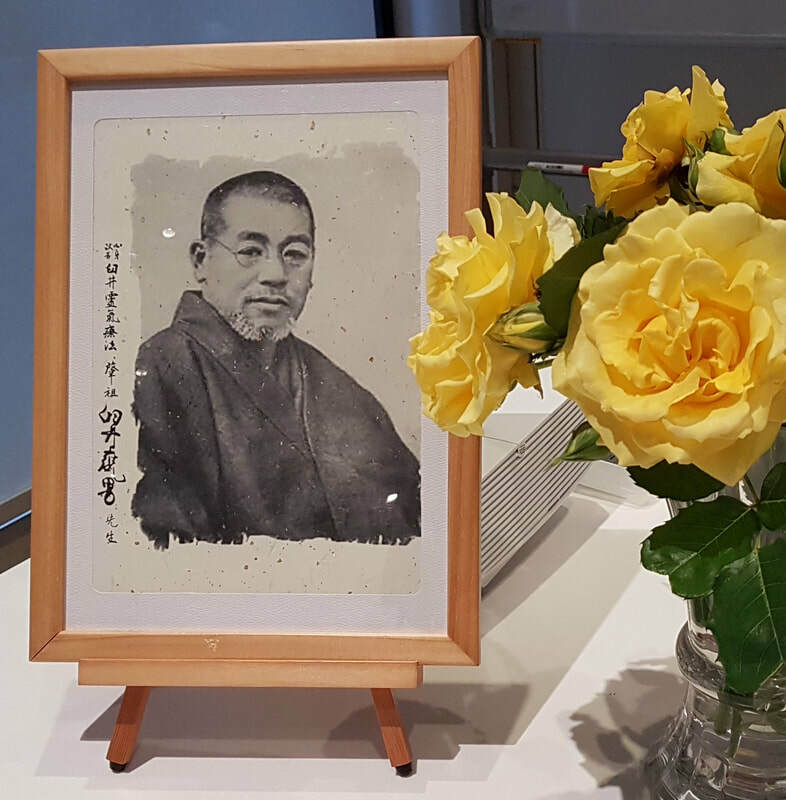 Through Mikao Usui, Reiki therapy has spread all over the world, bringing wellness & providing comfort to all who receive including patients in palliative care. Komyo ReikiDo teachers are found all over the world. ​The founder, Hyakuten Inamoto has traveled the world extensively, teaching Komyo ReikiDo for many years. Please check out the directory for a teacher near you OR check out the Events Page for Hyakuten Inamoto's teaching schedule.